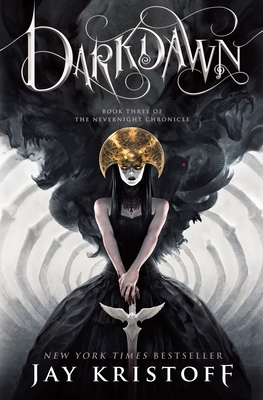 The epic conclusion of the internationally bestselling Nevernight Chronicle from New York Times bestselling author Jay Kristoff. JAY KRISTOFF is the New York Times and internationally bestselling author of The Lotus War, The Illuminae Files and The Nevernight Chronicle. He is the winner of four Aurealis Awards, an ABIA, a nominee for the Locus award, a nominee for the David Gemmell Morningstar and Legend awards, named multiple times in the Kirkus and Amazon Best Teen Books list and published in over thirty countries, most of which he has never visited. He is as surprised about all of this as you are. He is 6’7 and has approximately 12,015 days to live. He abides in Melbourne with his secret agent kung-fu assassin wife, and the world’s laziest Jack Russell. He does not believe in happy endings.